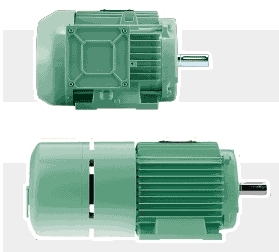 Electro Adda has been producing solely electric motors for every kind of industrial sector and special demanding applications for over 60 years. In the field of electric motors Electro Adda means \"made in Italy\". It has recently given impetus to new development programmes to win the newest and most competitive international challenges. A VERY CONSOLIDATED LEADERSHIP In our factories we produce motors which go from small outputs to higher outputs, 2000kW and more. The stages of all the productive chain are concentrated at the 2 Italian sites, where the processes go from design to testing. The German site gives us the possibility to better understand markets where “over standard” quality is strongly appreciated. Every Electro Adda motor has in its own core a great design of over 30.000 original projects and the passion and the professionalism of a highly qualified team: a valuable DNA which keeps on evolving and which, thanks to the constant investments in R&D, makes us be in the lead also as far as energetic and environmental savings are concerned. A COMPANY WHICH GOES BEYOND COMMON STANDARDS One of Electro Adda’s biggest strengths is its ability to produce motors which go beyond the standards, with technical-applicative and custommade features thought to satisfy its customer’s needs. It unifies the advantages of a series of smaller lots to the advantages of the “customized” ones: high performance motors in terms of power and safety which are entirely produced in its own factories. Every single product is the result of a fully tested and highly monitored production process, which provides checks in the windings of every single motor.